The Laredo District services the following counties Dimmit, Duval, Kinney, La Salle, Maverick, Val Verde, Webb and Zavala. The districts designs, builds, operates and maintains the state transportation system across county lines. 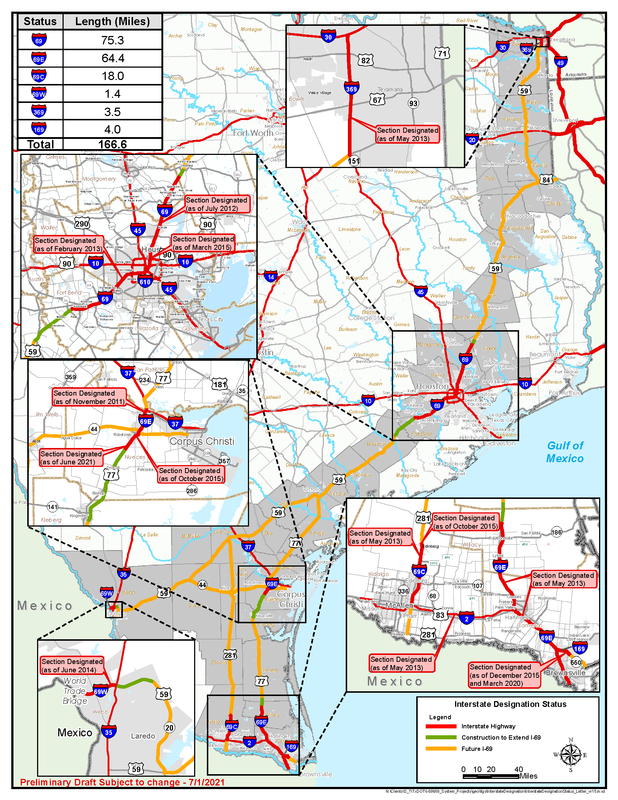 In this district, 1) US Highway 59 from the Jim Wells/McMullen county line to the World Trade Bridge in Laredo and 2) State Highway 44 from the Jim Wells/Duval county line to Freer will be developed to meet interstate standards as part of the I-69 system development.